Highest Certified by CGC! This outstanding copy is near-perfect in every way! It retains all of its original cover color and gloss and has bone-white pages! Corners are sharp and the spine is as tight as can be. 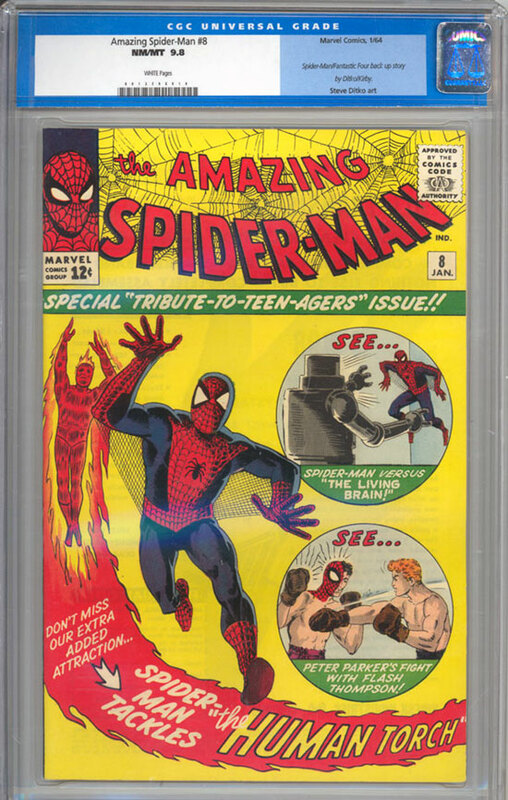 This book has an "old" CGC label and is guaranteed to not have been tampered with in any way. Issue has a Fantastic Four backup story. Cover and interior art is by Steve Ditko.